It takes skill and ingenuity to accomplish such a lovely creation. 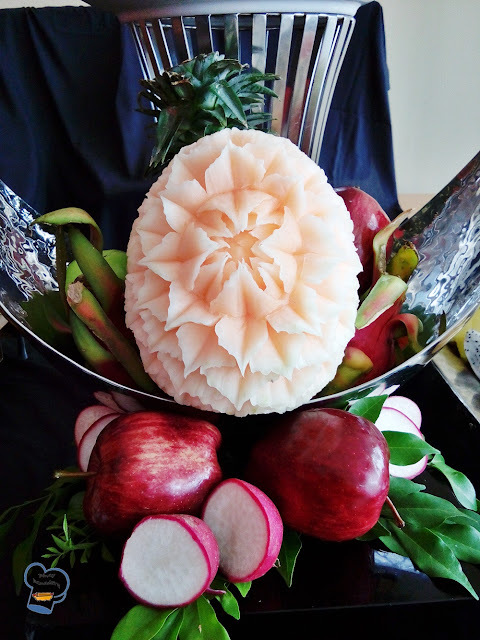 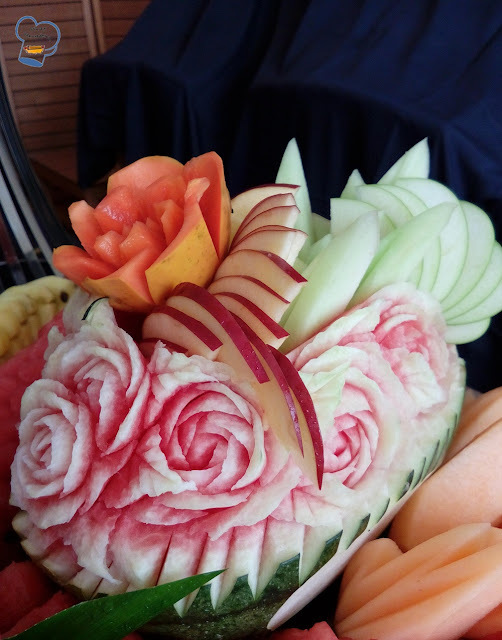 The demi chef de partie and commis II teamed up to make a carved watermelon bowl. 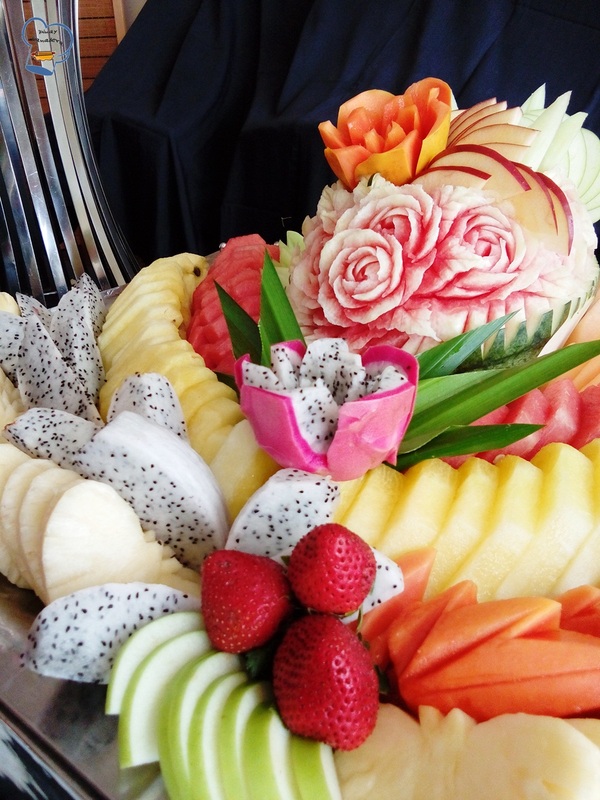 The new "attraction" at Sunday brunch is breathtaking. It has once again inspired our guests. 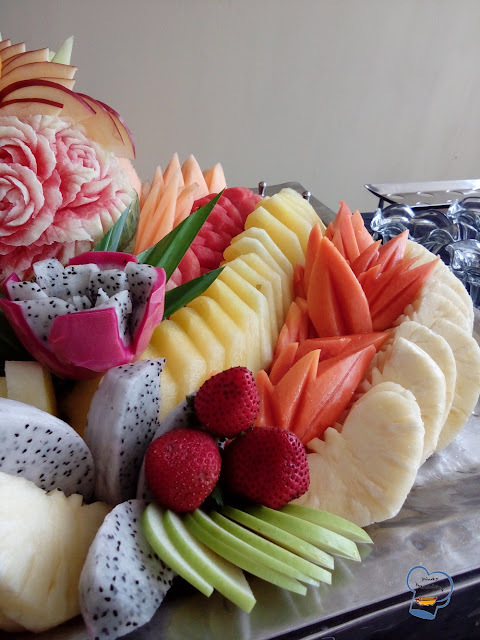 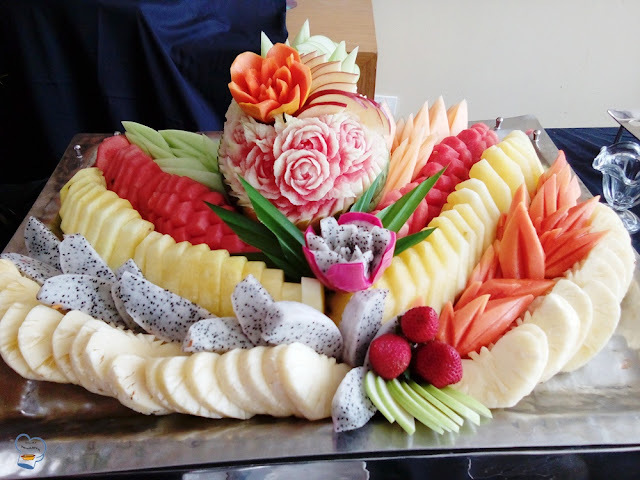 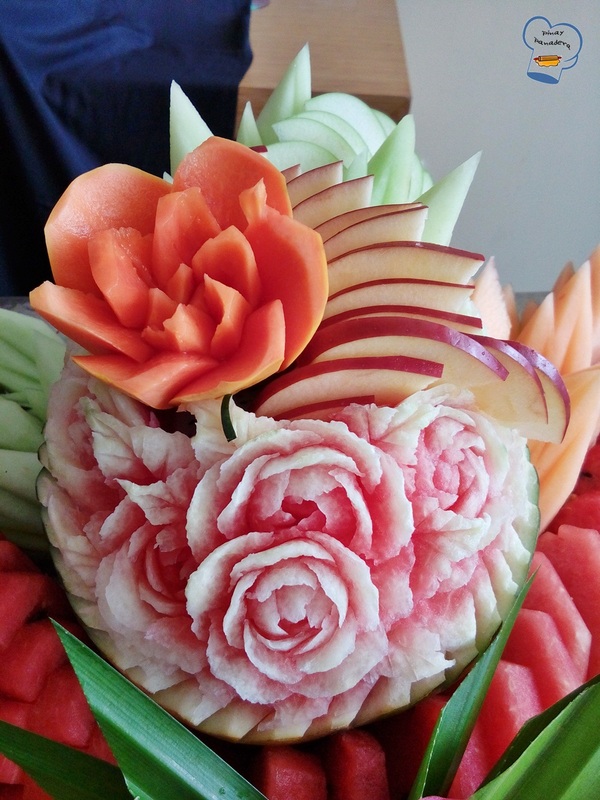 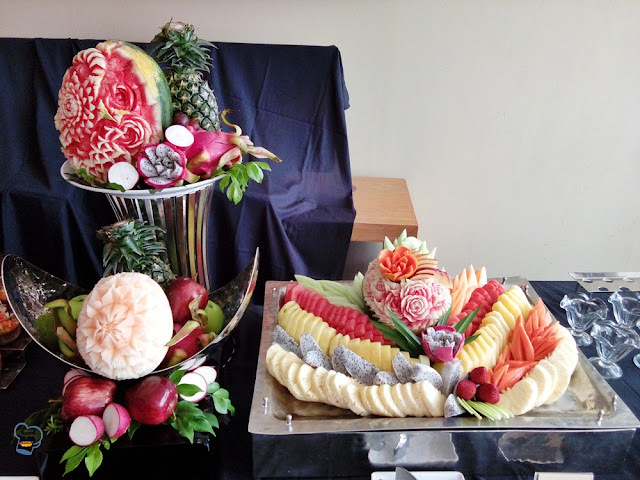 Take a closer look of the fruit display that graced our dessert table.